We begin telling their stories by featuring two makers - ANUKA and Ollie|s|Out. Today we're highlighting the works of two awesome makers who are passionate about making your child's room more lovely, inviting, a true pleasure to live and learn in for the young ones. These merchants' stories are truly inspiring to everyone here at Peddler, and there's no one better to tell those stories than the makers themselves. When three grown-up designers realised they had lost their carefree spirit along the paved road to serious adulthood, they were eager to regain it. After working within the design industry for over 10 years, the founder and chief designer, Andrea Ovari, joined forces with Aniko Bieder and Balazs Gelsei to create a new brand. All of them have everlasting childhood memories of their rooms, which impressed their creativity. Not only this attachment brought them together, but also their distinctive sense of humour. Launched towards the end of 2016, ANUKA brought a much-needed fresh breeze to the home of many families, who were searching for one-of-a-kind pieces. Our team is passionate about bringing that witty and friendly atmosphere to life, which you have always imagined in your little one’s room. The entire line aims to stimulate young minds as they grow, making sure that those cherished playtimes also contribute to their development. 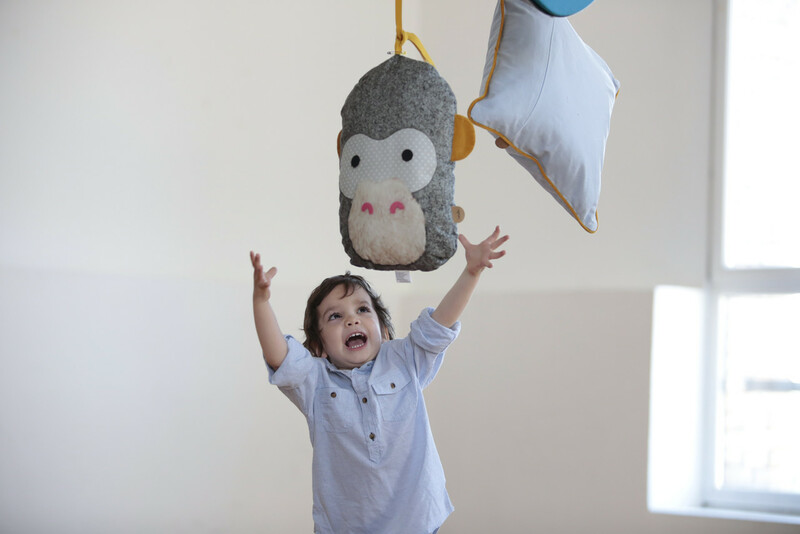 ANUKA is all about transforming your child’s room into a place full of dreams and ideas, creating the perfect setting for story-telling, play-writing and art-making. With engaging designs, bursting colours and charming animal motifs, our charismatic line proves that you can always have a bit of fun, regardless of your age. All of our products are crafted by experts in our own textile factory in Hungary. Each and every single item is made from the best materials to ensure they stand the test of time and play, while they also remain kind to our planet. Our team oversees all aspects of the production process from the first sketches, throughout manufacturing, till your orders are carefully packed and labeled by Andrea, our dedicated owner. With a simple and sophisticated design, these pieces will look good in just about any room in the house… after all, where your child goes, these new favourites will follow all the way. Our little love muffin, Ollie came to the world and all was new. Our love, our life, our home. When decorating the nursery we couldn't find the natural feel furniture we desired, the idea of designing furniture for the nursery arose. Key words were natural, soft and mellow. The name came from numerous walks and talks in the streets of Copenhagen when Ollie needed his sleep. We'd look at each other when his eyes shut and say "ollie's out" leaving time for just us while Ollie was getting his rest. We used the line with each other so much that we decided to use it as the name for the company and a remembrance of a bliss time when our little love bug entered our lives. Ollie|s|Out is a new Danish baby and children Interior Design company based in Copenhagen, founded in 2015 by Sarah Simone Jørgensen. Ollie|s|Out is rooted in the Scandinavian design language. We do however consider the spirit of the company Global and the products a beautiful elegant fit for any nursery around the world. Founded in 2015 by Sarah Simone Jørgensen in the heart of Copenhagen, Ollie|s|Out is rooted in the Scandinavian design language. We do however consider the spirit of the company Global and the products beautiful elegant for any nursery around the world. Soft curves and lush colors define the products of Ollie|s|Out. Varnished in two exquisite colours that embrace the grain of the wood, which makes the veneer stand out and give the furniture a classic Scandinavian look. The subtle tone of the furniture allows you to glam up with charming bedding or changing gear of your choice. The furniture will simply create the luxury of clean lines and a calm base of the children's nursery.